The league programme is now complete, Grange and Edinburgh University are already crowned men`s and women`s champions, now the focus turns to the play-offs and places in Europe for next season. By winning the league both Grange and the Edinburgh students are assured of a European spot, the contest is for the other place on offer. In the men`s semi-final Grange are at home to an Uddingston side that latched on to fourth places with a late round of good results. However, the champions have had the better of the results so far this season, a 4-1 win in the Scottish Cup, the first league encounter did end in a 3-3 draw, but the return at Bothwell Castle Policies was a 3-1 victory for the visitors – a Dan Coultas double and Duncan Riddell were on target. That said, the Lanarkshire side can raise their game against strong opposition and in a one off game anything can happen – and on occasions does. But they will hope to improve on last Saturday`s 3-2 defeat by Kelburne which almost lost them their top four status. The clash between Grove Menzieshill and Western Wildcats on Tayside could be a mouth-watering affair, in the end only one point separated them over 18 games in the league. The league encounters have been close, but Western Wildcats have purred their way to a 2-1 double over the Hill. In the equivalent fixture on Tayside, Cameron Golden put the Taysiders ahead but a penalty corner conversion by Adam McKenzie and an open play strike from Rob Harwood secured the win. The women`s European play-off could be a really tight affair, Edinburgh University took the league title by three points while the chasing pack of Clydesdale Western, Dundee Wanderers and Western Wildcats all finished on 41 points. The champions are at home to Western Wildcats, and the students` coach Sam Judge will remember that the earlier meeting between the sides at Peffermill ended in a 3-2 triumph for the Auchenhowie pack. That day in February the score was tied at 2-2 at the end of the first half, but Western Wildcats` Kate Holmes got the winner after the interval. However, the students did win the earlier encounter by a single strike from Ella Watt. The meeting of Clydesdale Western and Wanderers will be a repeat of last weekend`s final game of the season at Titwood where the Taysiders triumphed 2-1. Despite the Dundonians’ victory, there was in reality not much to choose between the sides – so all to play for this Saturday. While the above sides are looking to triumph on Saturday and make next weekend`s final, the teams in the relegation play-offs certainly do not. The winners of Saturday`s matches will play top flight hockey next season, the losers are consigned to another encounter next weekend to decide the final relegation spot. In the men`s Hillhead are at home to Dunfermline Carnegie, runners-up to Dundee Wanderers in this season`s second division campaign. In the other tie Watsonians entertain Kelburne in an intriguing clash. 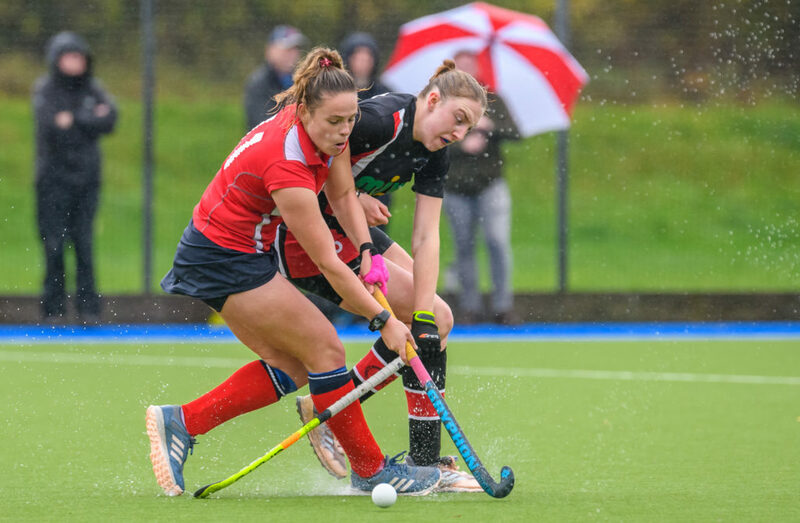 The Edinburgh side won both the league encounters, but even with a reduced squad the former champions can never be discounted as Uddingston found out last weekend. Hillhead are also involved in the women`s play-offs, they are at home to National League 2`s Erskine Stewarts Melville. 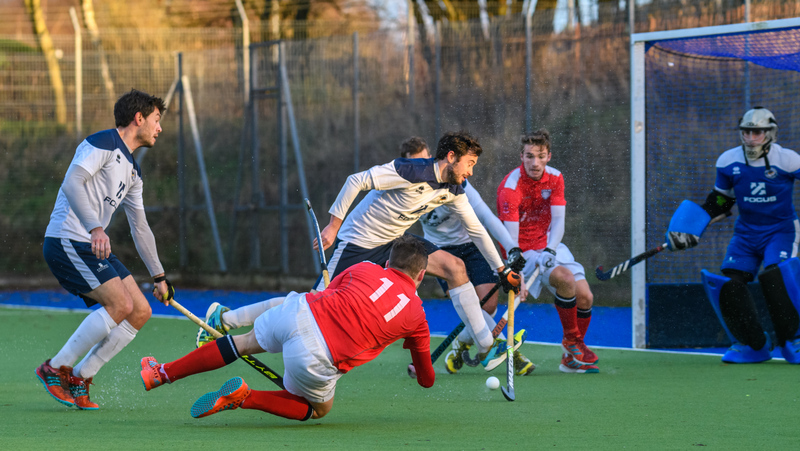 The other tie brings together Glasgow University and GHK, a repeat of last Saturday`s encounter which the students won 2-1, another such outcome would certainly suit them although their Glasgow rivals will have other ideas.